The exhibition is organised into 2 sections that reveal the evolution of the artist’s compositions, from his earliest works that solely depict bunches of grapes to his late paintings in which they are combined with other elements. Bunches of grapes have been a favoured motif in still-life paintings since the genre was invented in the late 16th and early 17th centuries. By depicting them artists could demonstrate their skills, capturing textures, structure and the stage of ripeness of the fruit. However, for an erudite public they also evoked a classical episode that upheld the superiority of painting. According to classical texts, in the 5th century BC the Greek painter Zeuxis of Heraclea depicted grapes with such realism that some birds came down to peck at them in one of his paintings of this subject.In his earliest known works El Labrador only depicted grapes, which are presented in a striking manner. The minutely detailed bunches are seemingly suspended in darkness and lit with extremely contrasting light while all spatial references are eliminated. 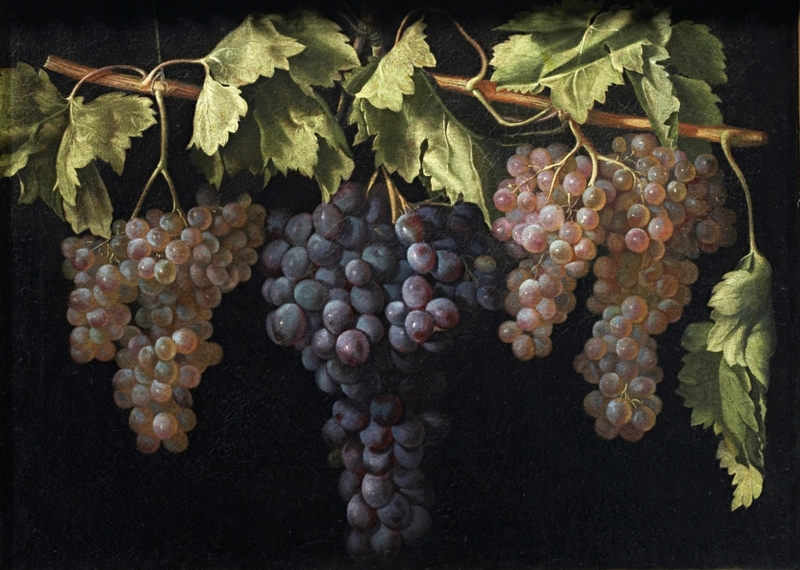 The grapes’ realistic, instantaneous appearance challenged viewers of the day and revealed the artist’s remarkable imitative powers, which were sufficient for him to be termed a modern Zeuxis. From 1633 El Labrador began to paint more complex compositions in which his distinctive grapes are combined with other elements. These still lifes always include fruit and plants that ripen in autumn or keep well over the following months. Generally products of the summer and autumn, they are depicted alongside bunches of grapes on small ledges that are seen from the front and stand out against the shadowy backgrounds. An apparent disorder prevails in these works, in which the artist generally added a refined vessel or recipient made of a gleaming or coloured material that creates a subtle contrast with the simplicity of acorns or chestnuts. 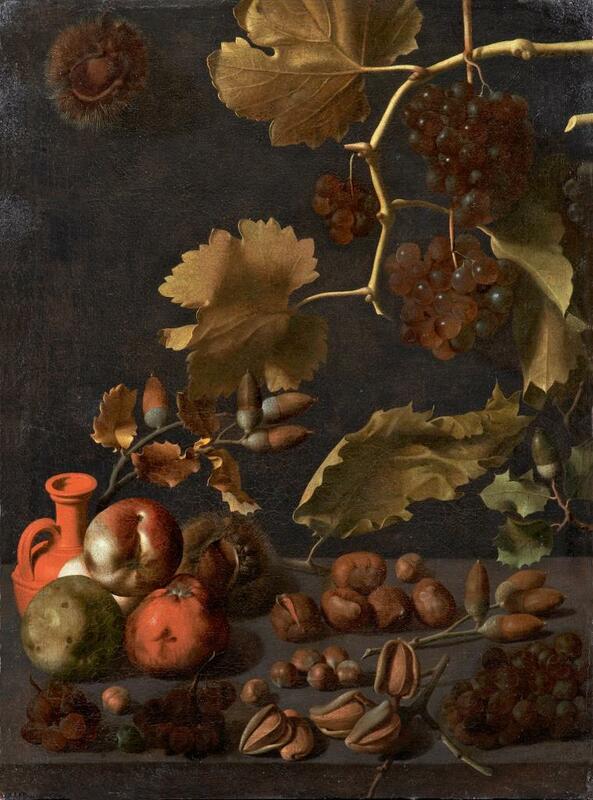 These works can be seen as celebrations of autumn in which the variety of fruit implies a display of humble abundance. In 1635, and perhaps on the suggestion of one of his English clients, El Labrador expanded his range of subjects to depict bouquets of flowers. These brought him fame due to their freshness and sense of realism and he added new, spring-like colours to his palette. 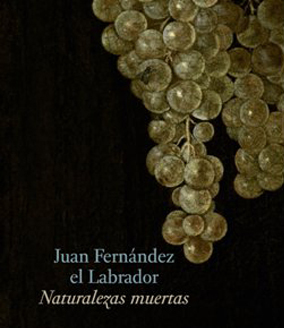 The documentation on Juan Fernández located to date only refers to the first seven years of the 1630s. The artist was known as “El Labrador” [the agricultural labourer] due to his rural origins and while it is assumed that he was born in Extremadura, nothing is known of his birth or artistic training. He was brought up by a leading Italian aristocrat, Giovanni Battista Crescenzi, who had an important influence on artistic matters in the reigns of Philip III and Philip IV. Crescenzi was one of the promoters of the still life and it seems very likely that he encouraged El Labrador to devote himself to painting fruit. This genre was evolving rapidly and was greatly in demand at the Madrid court and throughout Europe. The humble appearance of El Labrador’s paintings, which are both extremely simple and astonishingly realistic, must have cause a great impact at a time when such works were becoming more complex and Baroque. Around 1633 Juan Fernández left Madrid. According to his early biographers he retired to the country where he devoted himself to “portraying” the fruits of the natural world, with which he would have been notably familiar. It is said that he came to court during Easter Week to sell his paintings, which were acquired by the most important aristocratic collectors. Among the artist’s clients was the British Ambassador, Sir Arthur Hopton, who sent works by El Labrador to Charles I. Another royal collector to own a painting was Anne of Austria, Queen of France. 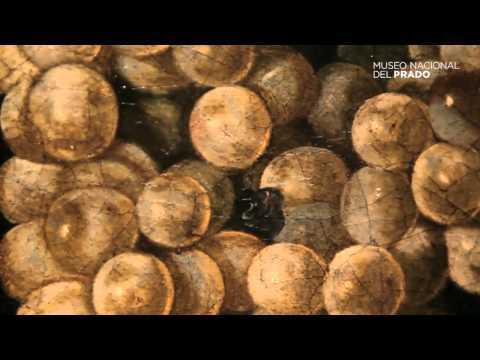 As a result, El Labrador was one of the few Spanish artists known outside the Iberian Peninsula in the 17th century. El Labrador’s fame was based on his highly individual approach to the depiction of fruit and flowers, particularly grapes, which were the principal motif in his paintings. In his still lifes he reveals a distinctive combination of the naturalist tradition with startling compositional formats. His use of painstaking detail is heightened by the extremely contrasting lighting derived from Caravaggio and a very close-up viewpoint. The dark backgrounds and absence of spatial references make these works completely timeless, particularly his depictions of hanging bunches of grapes, which convey an aesthetic close to modern art. While the artist can be related to the evolution of the genre in the first half of the 17th century, his work also implies a unique contribution for its time. El Labrador’s enigmatic personality and the fact that he moved away from the court at the height of his artistic powers, focusing on a new naturalism that went against the prevailing trend of the time, is even more striking given the very small number of works known by his hand. While there are early references to other paintings by him, at the present time only thirteen can be securely attributed. The catalogue that accompanies the exhibition is the first monograph on the artist to be published. It revises and updates the information known on the artist’s career, his work and the context in which it emerged. It also offers a brief account of his documented but now lost paintings. The principal essay has been written by the exhibition’s curator Ángel Aterido and focuses on El Labrador’s career. It is accompanied by entries on the paintings on display, a documentary appendix that includes all known references to the artist in inventories and sale catalogues from the 17th to the 19th centuries, and an essential bibliography.